The 12th February this year  was the 200th anniversary of the birth of Charles Darwin and 150 years since he published his historic work on evolution, On the Origin of Species. Actually it was not Darwin who first thought of the theory of evolution – it had been discussed in scientific circles for some time. Darwin’s achievement was to discover solid evidence for the theory – he was a very keen observer as he voyaged on The Beagle to South America, the Galapagos Islands and Australia. Briefly, Darwin’s theory says that living things, animals and plants, gradually change over millions of years depending on the climate, the environment and the availability of food. Individuals who are stronger, faster, more adaptable will survive while the weaker will perish. This is called natural selection or survival of the fittest. These stronger, faster, more adaptable individuals may pass on their characteristics to their offspring. It’s exactly the same process that has been used by breeders of horses, dogs and other domesticated animals for centuries. Darwin suggested this process has been going on in nature since life began by the process of natural selection. As the survivors adapt ever so slightly, so new species evolve over millions of years. Darwin helped to explain the finding of ancient bones and fossils in rocks which had puzzled people for so long. Scientists believe that life began on earth about 3.8 billion years ago in the ocean. The first life was single celled animals such as the amoeba which gradually evolved into larger marine creatures, then amphibians which ventured onto land. Land animals evolved into the millions of species that now inhabit the earth, including mammals. The kangaroo evolved from the first kangaroo 25 million years ago. By 10 million years ago, six different types had evolved. By 5 million years ago, there were about ten different types. At the present time there are thirteen different types such as the red and grey kangaroo, euros, wallabies, tree kangaroo and others. In the meantime, five other types have perished. Among the mammals are the ape-like creatures such as gorillas, orangutans and chimpanzees. Then the various types of human-like creatures evolved such as homo erectus, homo habilis and the Neanderthals. Our own species, homo sapiens arrived about 200,000 years ago. We share about ninety-five per cent of our genes with the chimpanzees. When Darwin published his work in 1859 there was a mixed reaction. Many Christians welcomed the theory – they saw evolution as the mechanism which God used to bring about the extraordinary diversity that we enjoy in the world. However, many who didn’t believe in God took up Darwin’s theory and used it aggressively to attack Christianity, saying this theory now proved there is no need for God – creation can be explained through evolution by chance. This, of course, is entirely false. We need God to explain of the very first animal, or, for that matter, even a rock or a speck of dirt. John Polkinghorne, a theoretical physicist and Anglican priest, suggests there is both chance and necessity in evolution. By necessity he means the laws of the universe such as the laws of gravity, relativity, chemistry and so on. Evolution must follow these laws that have been laid down. Polkinghorne says that necessity is the preserver of fruitfulness. Chance lies in such events as climatic variations, mutations, the changes in food supply and so on. Polkinghorne says chance is the engine of novelty. There is an interplay between chance and necessity. I see this interplay as similar to musicians playing jazz. Now and again the pianist, saxophonist or drummer uses his or her own creativity to improvise but keeping to the rules that have been more or less laid down by the jazz tradition. Similarly, evolution must follow the laws of the universe but chance events such as climate change bring about changes. I like to think that God has a playful temperament and that he enjoys the way that creation evolves. I think God would make a wonderfully creative jazz trumpeter. Some years ago, not far from Melbourne, one single tree of a wattle called Acacia leprosa produced red flowers instead of the usual yellow. The seed that produced this particular tree must have been hit by a gamma ray or something and this mutation caused a change of colour. Whatever the reason, it happened by chance. 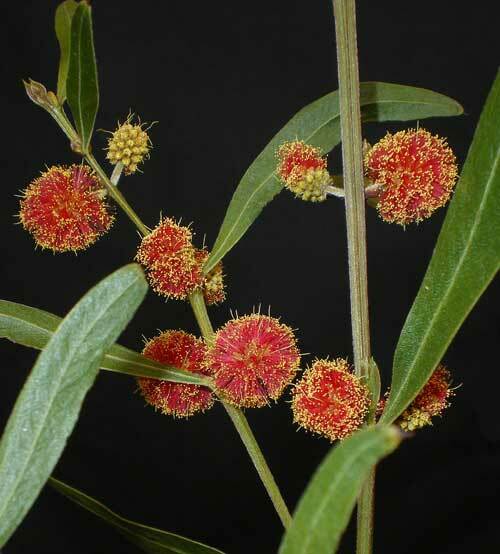 Botanists have managed to propagate this tree and we now have a new wattle for our gardens called Scarlet Blaze. Surely God was playing when he allowed the seahorse to evolve into this enchanting creature which swims upright, can curl its tail around objects so that it can hold still for eating or mating, it can change colour in seconds to blend with its surroundings and, contrary, to the usual pattern of the rest of creation, it’s the male who becomes pregnant. The female releases her eggs into a pouch in the male’s abdomen, he fertilises them, nourishes them and releases them into the ocean when the time is right. There are many similar examples of what I call God’s playfulness in the wonderful natural world we live in. There is no problem with the theory of evolution itself. The problem is with the extremists on both sides of the equation. There are militant atheists who say that evolution proves there is no need for God. Then there are fundamentalist Christians who take the creation story of Genesis literally and say that evolution contradicts the bible. In the USA where this belief is widely held, the fundamentalists want the creation story taught in schools as an alternative to evolution. This is confusing science and religion. We don’t have to believe the background that the creation story uses – we only have to believe what is necessary for our salvation. As a rule Catholics don’t have much of a problem with evolution. Evolution is primarily a scientific theory to explain why there are so many different forms of life and yet so many common features, and also explain the fossil records in rocks. Of course, no one is obliged to believe in evolution – it’s not part of our faith, but it does help to explain the world around us and, I believe, enables us to increase our sense of wonder at God’s amazing creativity. The first book that God wrote is the book of nature. One of the saddest aspects of the evolution debate is that it has given a very strong impression there is a conflict between science and religion, that the two disciplines are incompatible. This is just not true – there are thousands of Christian scientists who find a wonderful harmony between their faith in God and their scientific work. In 1950 Pope Pius XII authorised Catholic research into evolution in his encyclical Humani Generis, and this year the Vatican is co-sponsoring a conference at the Gregorian University in Rome 3-7 March on the theory of evolution. When we express our wonder at the marvels of creation, we are praising God, giving glory to him for the wonderful works he has performed.